Go Photo! features twenty-five hands-on and creative activities inspired by photography. Aimed at children between eight and twelve years old, this playful and fun collection of projects encourages young readers to experiment with their imaginations, get messy with materials, and engage with the world in new and exciting ways. 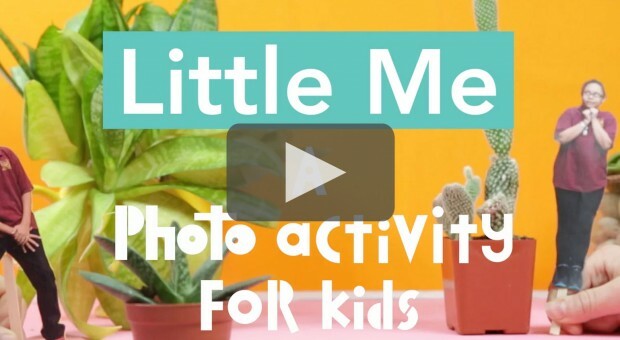 Indoors or outdoors, from a half-hour to a whole day, and whether alone or with friends, family, or an unsuspecting pet, there is a photo activity for all occasions. Some don’t even require a camera! Each project features a series of pictures and handy tips to help guide the reader step-by-step, building a visual language and encouraging creativity as they go. Accessible, fun, and practical, the activities in this book have been brought together to engage children in the fun and wonder of photography. Alice Proujansky (author) is Aperture Foundation’s coordinator of community partnerships. She holds a BFA from the Tisch School of the Arts, New York University, and has taught photography and led professional development coaching sessions for educators at Urban Arts Partnership, the Red Hook Community Justice Center, and the New York City Department of Education. A practicing photojournalist covering working motherhood and birth, her work has been published in the New York Times, New York, Harper’s, the New Republic, and others.